Women face a different set of challenges than men when it comes to investing and reaching their retirement goals. They tend to live longer. They often have their careers interrupted by maternity leave and elder care. They tend to take less risk in their investing. Women need financial advice that caters to their own financial style, which is why we’ve compiled this guide for female investors. Everyone should think more about paying for health care in retirement, but especially women. Whether married or single, they need to plan for the likelihood that they will spend more of their lives than men at a stage where out-of-pocket health-care expenses are a big issue. Memo to women who don’t like the relationship they have with their advisers: It’s not you, it’s them. Here are some suggestions on how women can establish a better relationship with financial planners. 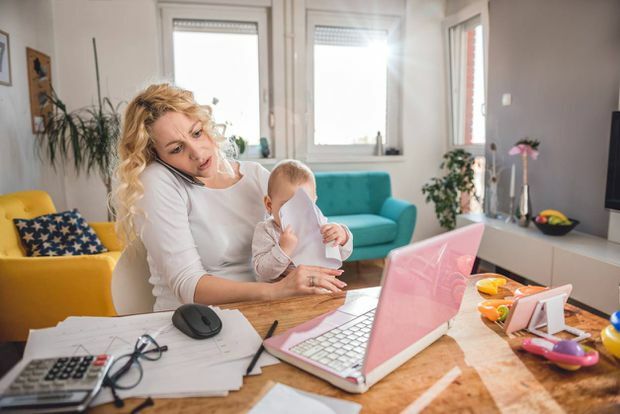 There are three savings challenges that apply to women before they retire – they generally work fewer years than men, they earn less, and they take on less investment risk, which means lower investment returns. Does getting divorced mean saving twice as much for retirement? The longer a couple are married, the more financially dependent they become, especially if they have children. A divorce means they not only have to untangle their finances but adjust to what is generally a higher cost of living separately. Financial experts have different strategies for single people in planning for retirement. The smartest move single people can make is not assuming they’ll eventually marry rich or even partner up with someone who can share the expenses. Delaying CPP improves expected returns and reduces risk. It also provides peace of mind. Women tend to be more risk averse, preferring to invest in less-risky assets and have more guaranteed income – and this strategy provides both. An annuity is a type of insurance that protects you against outliving your money and it especially makes sense for women. This tool is designed to compare your income needs in your working years with your estimated living costs after you retire. If you know how much retirement income you need every year, you’re well on your way to finding out the total amount of savings you need. How much money do you need to retire? Forget pulling out your calculator. Turn to your computer, tablet or smartphone instead. Here is a quick snapshot of some helpful, free, Canadian-friendly retirement tools.